If the first generation Chrysler 200 served as an admission that there was work to be done, the second-generation was a humble recognition that they weren’t quite there yet. All-in-all the Chrysler 200 models produced since 2015 are more than comparable within their vehicle class. With an adequate base-level engine delivering average fuel economy, a buyer would never be wasting their time in considering the more desirable V6. While fuel economy might drop a point or two, you can rest assured that you will not experience any hesitation when accelerating. If considering a 2016, you can expect a few additional tweaks, but nothing that really stands out. That said, the Chrysler 200 is successful as an evolving realization of what had been promised by the 1995-96 Sebring. Rather than trying to be something that it’s not, it has become a midsize sedan with a smooth and elegant design indicative of higher-priced vehicles. The ability to opt for a more performance-driven engine enhances the appeal of those with a sports-sedan mentality, and the array of technology options cater to those with an eye for luxury. If 2011 brought us nothing else, it did offer up a reinvigorated version of the Chrysler Sebring in the form of the Chrysler 200. Whether you call it a re-invigoration, resurrection, or replacement, the strongest attribute of the Chrysler 200 was that it delivered on some of the conceptual promises that the Sebring had failed to realize. In terms of overall body design, few changes were made; but then again, few changes were needed. After all, the overall aesthetics of the Sebring were never called into question. That said, dropping the ride height and increasing the track width would give the Chrysler a more aggressive, sportier stance. The enhancement offered by 18-inch alloy wheels only served as evidence. Throw in a more sophisticated front fascia and tweaked construction and Chrysler had addressed most issues regarding the exterior cosmetics. Re-engineered suspension and steering only enhanced the 2.4-liter 4-cylinder that would come standard in most trims. That said, the optional Pentastar V6 offered a 3.6-liter alternative that would further redefine the vehicle. Wrangling 283 horses at 6400 RPM and 260 lbs-ft of torque at 4400 RPM, the 200 now out-stepped most other vehicles in its class. Optioning this engine would reinforce the suggestion that Chrysler had seen the errors of their ways. After all, the Sebring had been marketed as an alternative to the luxury sports sedan with an affordable price tag. With that sort of tagline, one expects a certain degree of performance. Despite the overall enhancements, pricing remained comparable overall to the original Sebring with a $19,245 MSRP to start. Even at a higher trim level, the 200 would remain competitive with the well-equipped Toyota Camry, Ford Fusion, and Hyundai Sonata. The difference…it now felt closer to what had always been advertised in the Sebring. In 2015, Fiat-Chrysler made the prudent decision to discontinue the convertible variant, which had created some structural disparity from the standard hardtop. The decision empowered them to refine the 200 where it would align itself with Chrysler’s new design language. As a midsize sedan, it was now closer in-line with the Chrysler 300, validating the “sibling marketing” that had never been 100% convincing. With a more rigid chassis, the 200 offered an improved ride. With the same engine options, the fuel economy would still fall within the 23-28 mpg (combined) range, overall. That said, the real upgrades become evident in the revamped trim levels – and in the evolving technologies demanded by today’s drivers. 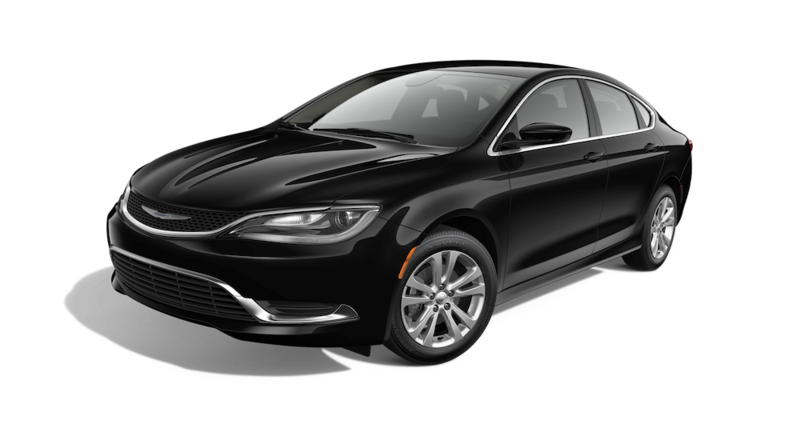 Starting with the (base) LX, the Chrysler 200 trim levels include the Limited, S, and C. The LX offered the basic features you would expect (air conditioning, cruise control, adjustable seating, etc.) but also came with keyless entry and ignition. A 5” touchscreen ties together the infotainment features, which include a 4-speaker sound system with USB and auxiliary inputs. The LX is also Bluetooth-enabled, including music streaming. Opting for the Limited scores some exterior upgrades, such as alloy wheels and trim accents. Add in remote ignition, zoned climate control, and heated seating and you have an even more welcoming experience. The sound system in the Limited is upgraded to six speakers, and the touchscreen is now connected to a rear camera and satellite radio. The sunroof is a nice added touch. For those opting for a sportier feel, the S trim delivers nicely. With a sport-tuned suspension and acoustic glass, the S hums along on 18” or 19” wheels. Optional features are plenty at this level, and include an 8.4” touchscreen interface, navigation system, and a nine-speaker sound system. Consider the addition of a leather interior with ventilated seating and a panoramic sunroof, and the overall driving experience improves. If considering a top of the line C trim, the real gain is in the enhancement packages. For example the SafetyTec package includes such features as adaptive cruise control, front collision and lane departure warning, and various driver assist features. Interior upgrades are available as well, including wood trim accents, heated steering wheel, and a 115-volt household power outlet. While it’s fair to point out that the 200 offers less rear legroom than any other midsize sedan, the trunk space is more than adequate (16.0 cubic feet) and allows pass-through, courtesy of the 60/40 split-folding rear seat. If you’re interested in a used Chrysler 200, you may very find that it has everything that you need and want in your next vehicle.